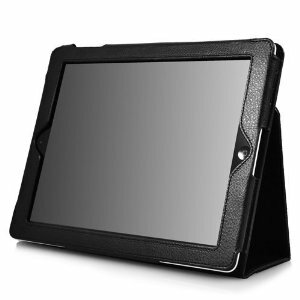 Wow, hurry over to Amazon to score a synthetic leather iPad 2 case with stand for only $6.23 with free shipping. This has a list price of $29.99 and has pretty decent reviews for being so inexpensive! Access all of the iPad 2's features while the case is still on.